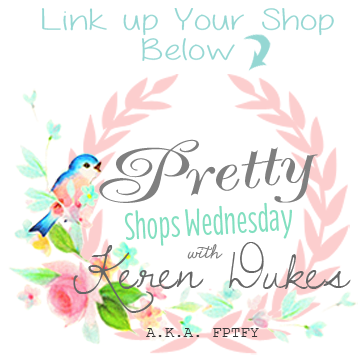 Welcome to the 20th Pretty Wednesday Link Party! For those of you that are new to my Blog, Linky Parties aren’t something new around these parts.. WYWW had a strong 124 weeks, and as most of you know, it was one of the very few linky parties out there that allowed SHOPS to link up. I never wanted that option to go away, for I know, many of you truly appreciate it! I mean.. who doesn’t like Free advertizing, right? So why the change? The main reason is, WYWW was just really all over the place/disorganized and that definitely needed to change. Thanks for hosting this party – I would love to add your button to my post but cannot find the one you would like people to use – can you direct me in the right direction? Thanks. I have had many visitors and shoppers over the last year from your blog. 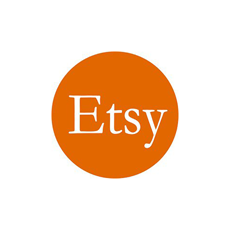 Thanks for hosting and promoting uniquely handmade artisans. Sorry I missed linking up! Have a great weekend dear pal!